Wolf-Harald Graf von Ingenheim was born on 2 April 1962. He is the son of Walther Graf von Ingenheim-Molitor and Marianne Wasner. Huberta Gräfin von Francken-Sierstorpff was born on 7 November 1854. She married Franz Graf von Ingenheim, son of Gustav Adolf Graf von Ingenheim and Eugenie Thierry, on 6 November 1875 at Enderndorf, GermanyG. She died on 13 October 1913 at age 58. Her married name became von Ingenheim. Elizabeth Herzogin von Leuchtenberg was born on 25 September 1957 at Monterey, California, U.S.A.G. She is the daughter of Serge Herzog von Leuchtenberg and Olga Wickbrg. She married John Craft on 5 October 1975 at Pacific Grove, California, U.S.A.G. Her married name became Craft. 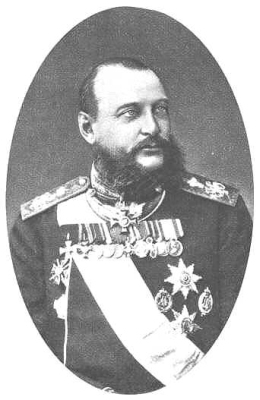 Sergej Herzog von Leuchtenberg was born on 20 December 1849 at St. Petersburg, RussiaG. He was the son of Maximilian Joseph Eugène Auguste Napoléon de Beauharnais, 3rd Duc de Leuchtenberg and Mariya Nikolaievna Romanov, Grand Duchess of Russia. He died on 24 October 1877 at age 27 at RustchukG, killed in action. Elisabeth-Klara Kyas was born on 31 July 1907. She married Harald Graf von Ingenheim, son of Franz Graf von Ingenheim and Huberta Gräfin von Francken-Sierstorpff, on 11 May 1938. She died on 19 August 1977 at age 70. Nikolaj Herzog von Leuchtenberg Prince Romanovsky was born on 4 August 1843 at SergeievskoieG. He was the son of Maximilian Joseph Eugène Auguste Napoléon de Beauharnais, 3rd Duc de Leuchtenberg and Mariya Nikolaievna Romanov, Grand Duchess of Russia. He married Nadezhda Annenkova in October 1868. He died on 6 January 1891 at age 47 at Paris, FranceG. 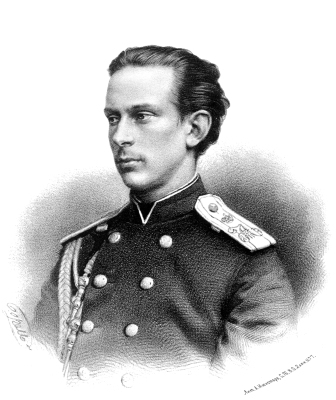 He gained the title of Prince Romanovsky. Maritta Gräfin von Ingenheim was born on 24 April 1928. She was the daughter of Manfred Graf von Ingenheim and Annalies-Renata Kutz. She and an unknown person were divorced in 1953. She died in July 1974 at age 46. Eugene de Beauharnais was born on 8 February 1847 at St. Petersburg, RussiaG. He was the son of Maximilian Joseph Eugène Auguste Napoléon de Beauharnais, 3rd Duc de Leuchtenberg and Mariya Nikolaievna Romanov, Grand Duchess of Russia. He married, firstly, Daria Opotchinina, daughter of Konstantin Fyodorovich Opotchinin, on 20 January 1869. He married, secondly, Zinaida Skobeleva on 14 July 1878 at Peterhof, RussiaG. He died on 31 August 1901 at age 54 at St. Petersburg, RussiaG.